"Photography is tough. Making a living as a photographer is tough, whether it's from competition, or the lack of business, or both. Being a hobby photographer is tough - where do you find the time to make beautiful photographs in between work, family and everything else?" Read more. Nikonians Academy Director Mike Hagen (Mike_Hagen) reports the staff has finalized plans for new workshops in the coming year. The schedule now includes more of the highly popular Master's series in the USA for the first half of 2013 and some of those workshops seats are going fast. You can check all workshops by Topic, by City Area and by Date. Our newest additions include workshops in Seattle, Denver, Los Angeles, Las Vegas, Raleigh, Dallas, Indianapolis, and New Jersey. This is just the beginning. We have many more workshops we'll be adding in the coming weeks. Keep watching for new Masters workshops from Steve Simon, Winston Hall, and Mike Hagen. Our January workshops are filling up fast. For those in Europe, Giuseppe Circhetta's Glamour and Fashion photography workshop in Milan, Italy is the perfect way to put your new Christmas gear to use. You will shoot for a whole weekend with Giuseppe and his team and learn glamour, editorial production and post production techniques. In the USA, check out Rick Hulbert's Urban and Street photography workshop in San Francisco or Mike Hagen's Florida workshops in Orlando and Fort Lauderdale covering the Nikon D800/D4, Nikon iTTL Wireless Flash, and Adobe Lightroom 4. You need to hurry because a number of the classes are sold out, or are down to their last seat. 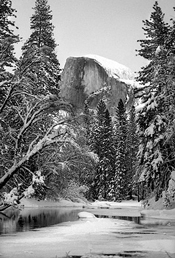 Michael Mariant's February workshop titled Yosemite in Winter, A Season of Contrast is a leading favorite every year. The stunning beauty of snow-covered trees under soaring granite peaks is something everyone should photograph at least once in their lifetime. If you want to learn to take better portraits, then you need to learn about your subjects and what they're going through when staring down the lens. Sure, you can pick some of this up through reading, but to really solidify this information and know it through personal experience, turn the camera on yourself for bit! See how, here. Our 2012 Annual Nikonians Photo Adventure Trip (ANPAT) special edition is now available for free download. The highlight is our gallery favorites section, featuring images, field notes and comments by members attending the trip to New Mexico this year. This issue also includes a Photo Ninja Review by Ernesto Santos (esantos) and an ANPAT retrospective by former trip coordinator Darrell Young (Digital Darrell). After Peter and Heather had a picturesque trip to Rome, Peter explains his techniques to go beyond to get that extra special photo. Of course, Heather would disagree; but Peter did get the shot he wanted. Peter talks about why any photographer should be using RAW. Once in a lifetime trips enhance the need to know what you are doing; as the probability of travelling to the same location anytime soon it not an option. It is important to know how to capture the shot you want under low lighting situations. Stay tuned, enjoy hearting about their journey to the beautiful Country of Italy! Besides being the pro family photographer in your household, for all those birthday parties and holiday seasons you do, ever thought of going out into the world and getting up close and personal with your fellow citizens? Read what you'll need, how to actually go about asking strangers for permission, and more, here. In the never-ending quest to bring you the best photo adventure trips on the planet, the Nikonians Academy announces a new destination photo adventure trip to Sri Lanka. Unparalleled wildlife opportunities abound including leopard, elephant, birds, monkeys and much more. You will be photographing from the Academy's privately chartered safari vehicles, providing lots of space to move around inside while capturing nature's splendor with your cameras. This photo adventure will also focus on cultural photography as we travel this culturally rich and beautiful country. This 9-day (8-night) exploration of the unparalleled photographic possibilities in this island nation begins on September 14, 2013 and is limited to 12 participants. 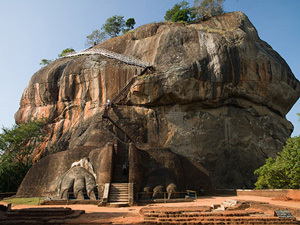 Sri Lanka is an ideal photo destination and our leader, Lester Picker, has traveled there many times. He knows this area well and we would love to have you join us for a trip you'll never forget. This week, Winston Hall and Mike Hagen are running Nikonians Academy workshops in Las Vegas and San Diego. There's still time to sign up for these last workshops of 2012. Although a number of these workshops are sold out, we still have space in Master HDR Photography (Vegas), Master the Nikon D800 and D4 (Vegas), Master Adobe Lightroom (San Diego and Vegas), and Master iTTL Wireless Flash (San Diego). Winter is an excellent time to explore the world with your camera and we have five big photography workshops to cold and warm climates in early 2013 to pique your interest. We are rolling out our 2013 Masters series workshops and our first two cities of 2013 will be Orlando, Florida (Jan 10 - 13) and Fort Lauderdale, Florida (Jan 17 - 20). 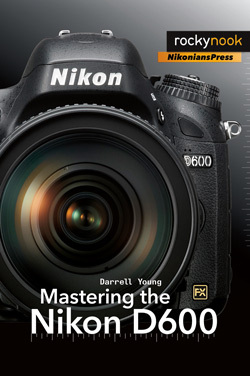 In both cities we'll be teaching Master the Nikon D800 and D4 In Depth, Master the Nikon D800 and D4 Advanced, Master Adobe Lightroom Essentials and Master Nikon iTTL Wireless Flash, CLS. 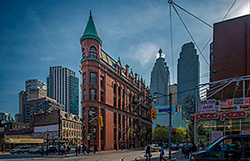 We are pleased to announce the entry of our newest Corporate Partner, PictureCode -- who profoundly stand by their reputation as a professional-grade RAW converter that delivers exceptional detail, outstanding image quality, and a distinctive, natural look, with Photo Ninja. If you think this is "just another RAW converter", you're in for a surprise. 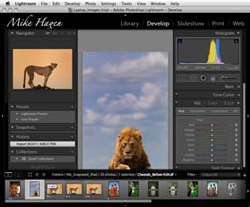 Photo Ninja is truly special, with unique capabilities for improving and optimizing your digital images. Click here to learn more about this powerful tool, and see how you can enhance your images to their truest, if not, best potential.